RJB is one of the most famous online radio station on Switzerland. RJB is a live online German radio in Delemont, Jura, Switzerland .RJB broadcast 24 jam program hidup di Internet. 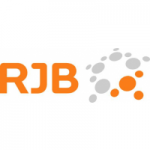 RJB vision is to represent Delemont, Jura, Switzerland culture globally, the company targeting the listeners who speak German and live both inside the country and abroad. Only Delemont, Jura, Switzerland content are transmitting through this station so far.